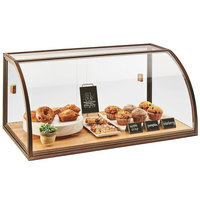 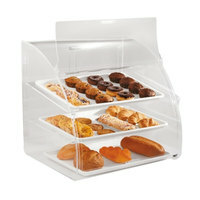 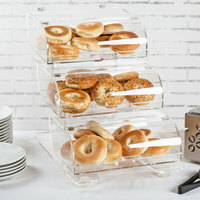 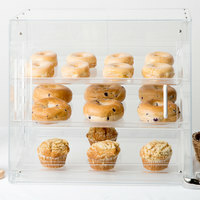 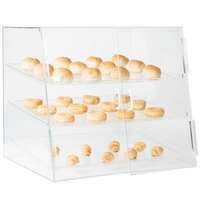 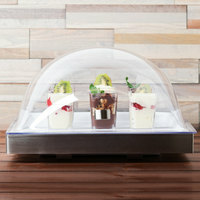 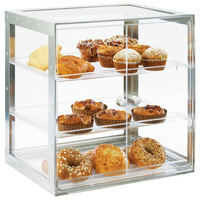 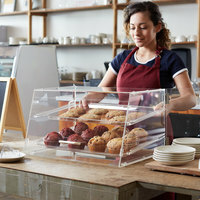 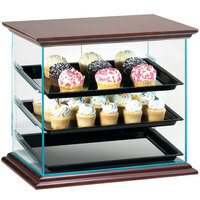 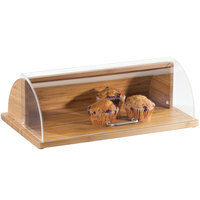 Did you mean cold countertop bakery display cases? 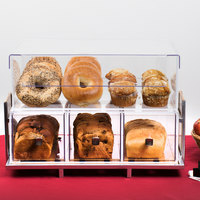 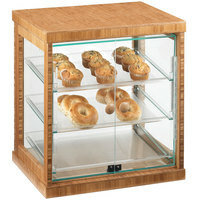 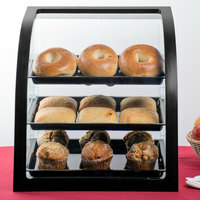 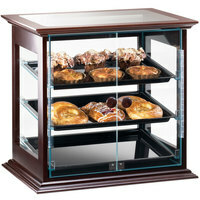 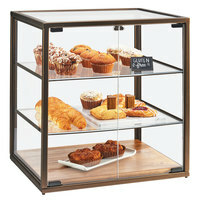 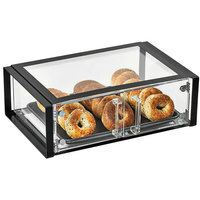 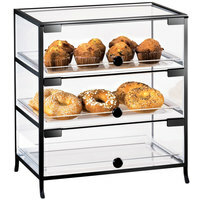 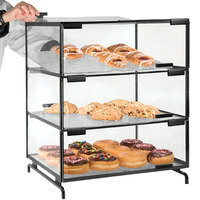 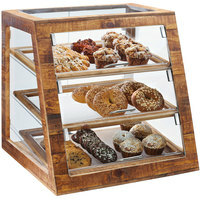 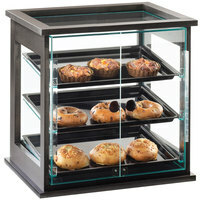 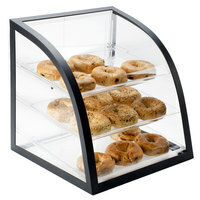 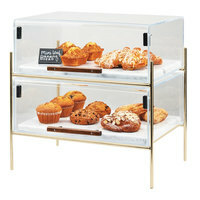 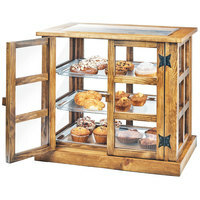 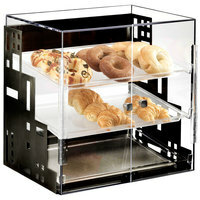 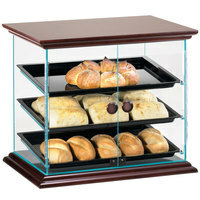 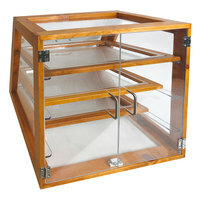 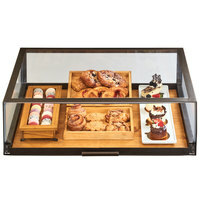 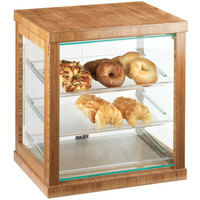 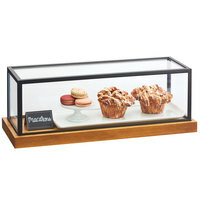 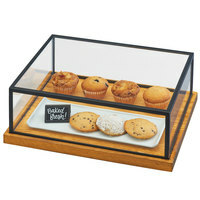 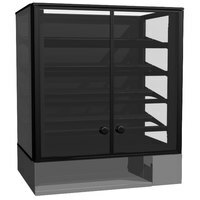 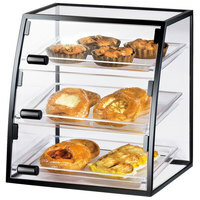 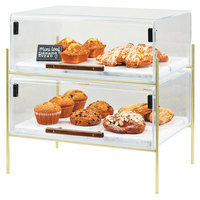 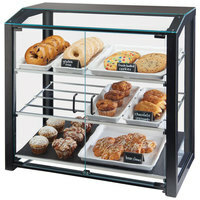 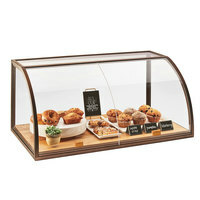 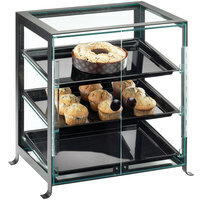 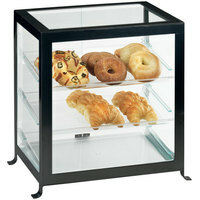 Cal-Mil P255-96 Midnight Bamboo Euro Style Display Case with Rear Door - 17" x 17" x 18"
plus Structural Concepts Impulse CSC3223 Non-Refrigerated Countertop Bakery Display Case / Merchandiser 32" - Black 7 Cu. 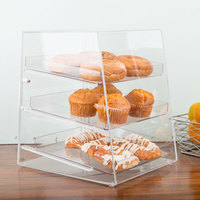 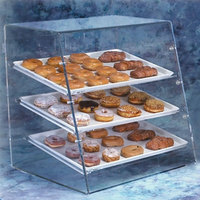 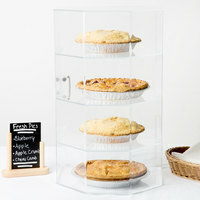 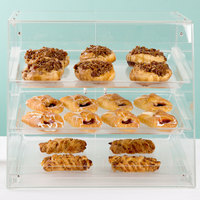 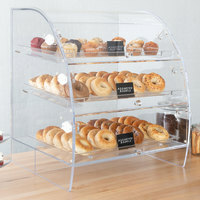 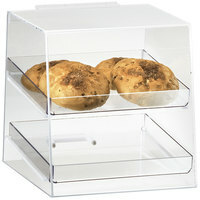 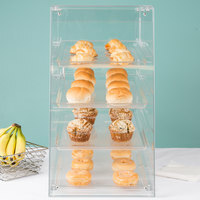 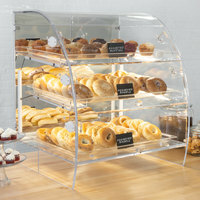 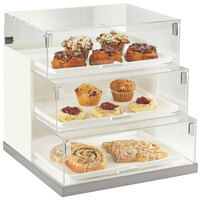 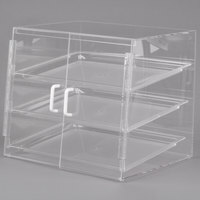 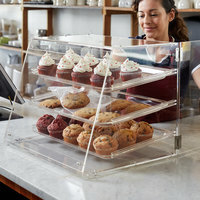 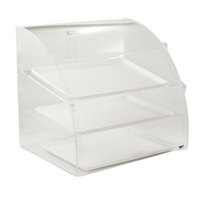 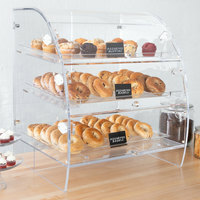 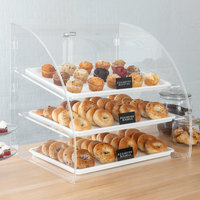 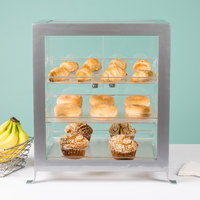 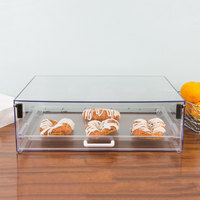 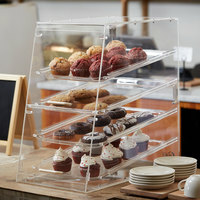 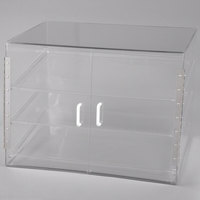 Ft.
Cal-Mil 280 Classic Two Tier Acrylic Display Case with Rear Door - 10" x 10" x 11"
plus Cal-Mil 3020-55 Luxe Three Tier Stainless Steel Bakery Display Case - 19" x 20" x 19"
plus Cal-Mil 284-S-52 Westport Three Tier Wood Frame Display Case with Dual Front Doors - 21 3/4" x 18 1/2" x 20 1/4"
plus Cal-Mil 284-S-60 Three Tier Bamboo Display Case with Dual Front Doors - 21" x 16 1/4" x 22 1/2"
Cal-Mil 1735-1318 Iron Three Tier Display Case - 19" x 15" x 21 1/4"
Cal-Mil 1575-13 Soho Three Tier Black Display Case with Rear Doors - 21 1/4" x 15 3/4" x 20 3/4"
Cal-Mil 1575-S-13 Soho Three Tier Black Display Case with Front Doors - 21 1/4" x 15 3/4" x 20 3/4"
Cal-Mil 3493-13S Black Small Bakery Display Case - 20" x 15 1/2" x 21"
plus Cal-Mil PC300-13 Three Tier Black Pastry Display Case - 16" x 23" x 20"
Cal-Mil 1202-S Classic Three Tier Pastry Display Case with Front Door- 27" x 20" x 20"
Cal-Mil 815-52A Westport Three Tier Wood Trim Display Case with Rear Door - 21" x 16 3/4" x 18 1/4"
plus Cal-Mil 1621-13 Squared Three Tier Black Display Case with Front Doors - 15" x 13" x 19"
plus Cal-Mil 284-S-96 Three Tier Midnight Bamboo Display Case with Dual Front Doors - 21" x 16 1/4" x 22 1/2"
Cal-Mil 1708-1014 Iron Curved Self-Service Display Case - 16" x 15" x 17 1/4"
plus Cal-Mil 815-52 Westport Three Tier Wood Trim Display Case with Front Doors - 21" x 16 3/4" x 18 1/4"
plus Cal-Mil 1574-S-13 Soho Three Tier Display Case with Front Doors - 17 1/4" x 12 3/4" x 20 3/4"
plus Rosseto BAK1210 Three-Tier Acrylic Bakery Display Case - 15" x 22" x 19"
plus Cal-Mil 1574-74 Soho Three Tier Silver Display Case with Rear Door - 17 1/4" x 12 3/4" x 20 3/4"
plus Cal-Mil 1471-SET Eco Modern Merchandiser Set - 21" x 13" x 15"